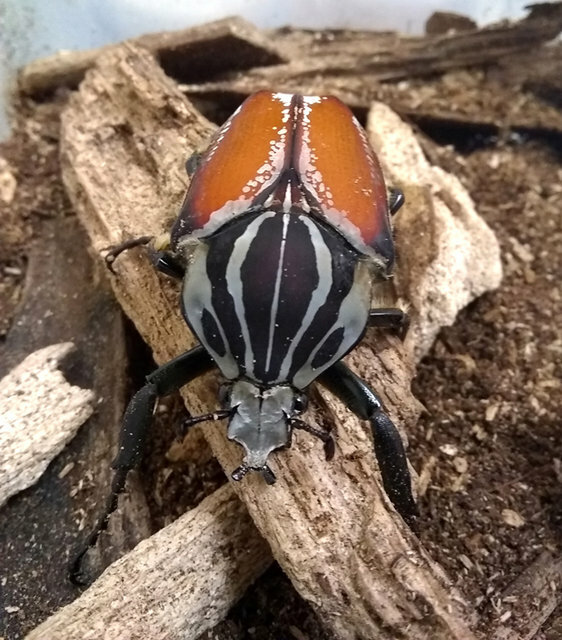 The first adults of my current Goliath beetle generation have started emerging..
Gorgeous! Will any of these guys be for sale? 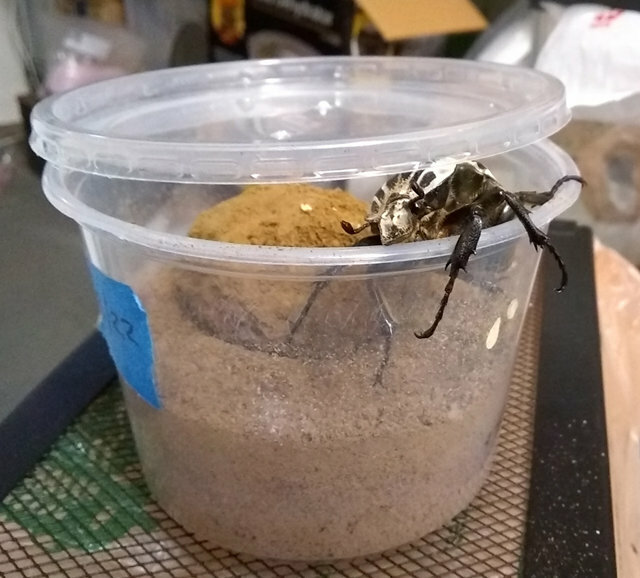 I assume that the container with the cocoon must be ventilated somehow? I can't tell from the photo, but undoubtedly, there are some ventilation holes? Is the cocoon normally kept on the substrate surface like that, throughout the pupation process? Goliathus: Yes: I have a few, small ventilation holes in each container, some on the lid and some on the sides. The cocoon is normally buried, but some of the times they dig it up with them when they are emerging. Wow. 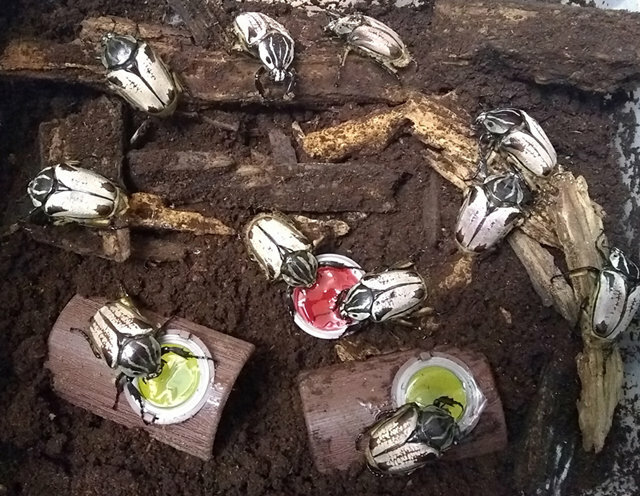 Those are some beautiful beetles! Amazing to see how the hobby is expanding in the USA.